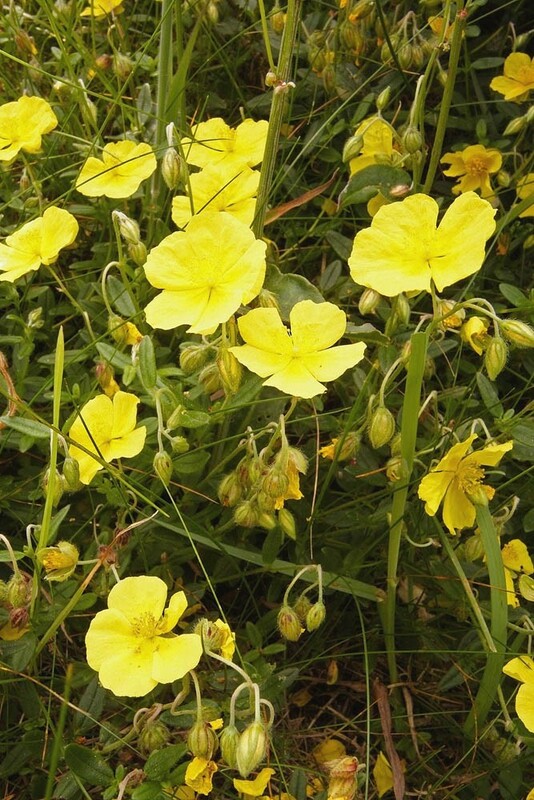 Common rock-rose is an attractive low growing grassland under-shrub. The one veined leaves are lanceolate, hairless above, downy white bellow and in opposite pairs along a prostrate stem. The flowers, consisting of five petals, five sepals and numerous stamens, have a rose like appearance hence the plants common name. 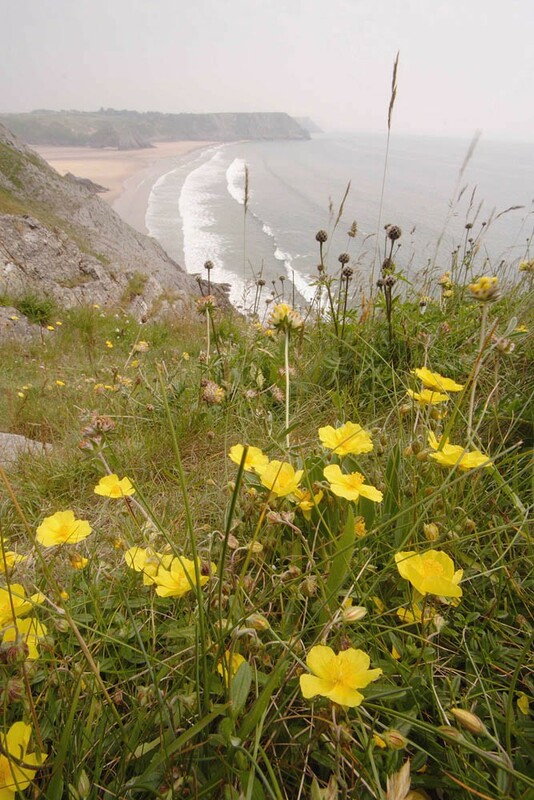 As a garden plant in can be found in a range of colours but wild flowers are a clear sulphur occasionally with an orange spot at the base of the petal. Flowering occurs form May to September. A slow growing sub-shrub commonly associated with species rich, short turf on well-drained, infertile soils. 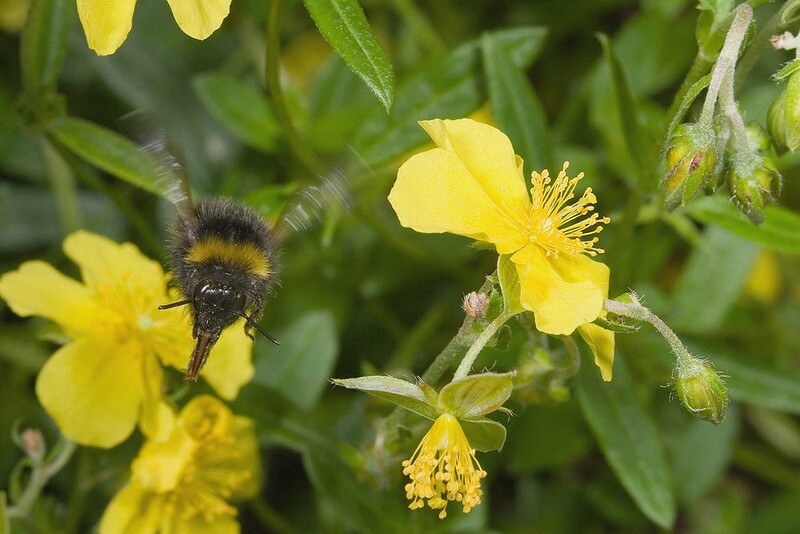 In the south east common rock-rose is restricted to calcareous soils on chalk and limestone but is found on increasingly acid soil the further north in its range you look. Indeed in east Scotland it has been recorded growing amongst ling heather on soils of pH 3.8. It is able to exploit dry, free draining sites by having deep roots and the ability to shed leaves under extreme drought conditions. Common rock-rose can persist for some time in neglected grasslands, where it regenerates by natural layering, but it will eventually be lost. To succeed indefinitely it requires a short turf with localized areas of bare soil in which its seedlings can establish. 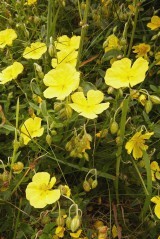 Common rock-rose could be added to EM6, EM7 or ER1. 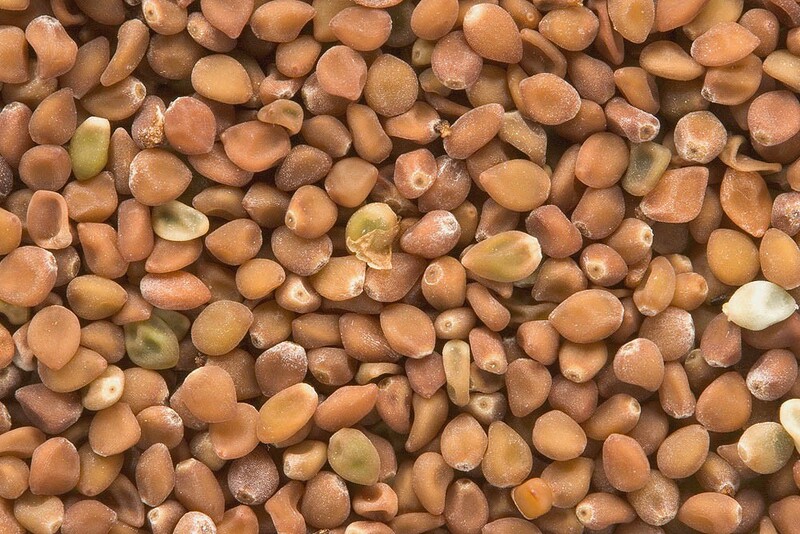 Seed exhibits hard-coat dormancy and so may take some time to germinate. A light scarification could be helpful. Although a plant of dry habitats seedling are prone to drought. It is therefore probably best to sow in the autumn.